Lodges in Tanzania are either hotels offering chalet accommodation, wilderness camps with bungalows, or sometimes permanent tented camps. The prices range from US$40 to US$500 or more per person per night. 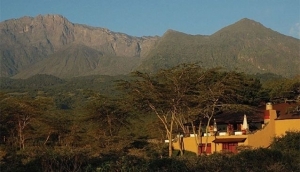 On the safari circuits there are some wonderful and very luxurious lodges offering fully inclusive rates. These lodges will all have private bathrooms with hot running water and some sort of electricity - generator or solar power. In the major towns you will find lodges in smaller and more intimate settings.